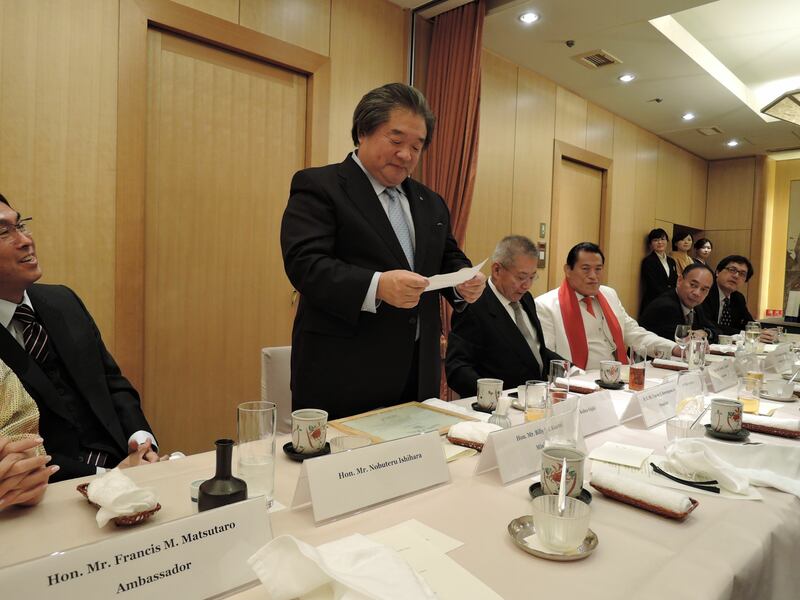 On January 5th, 2015, The Honorary Consulate-General of the Republic of Palau in Yokohama was opened. 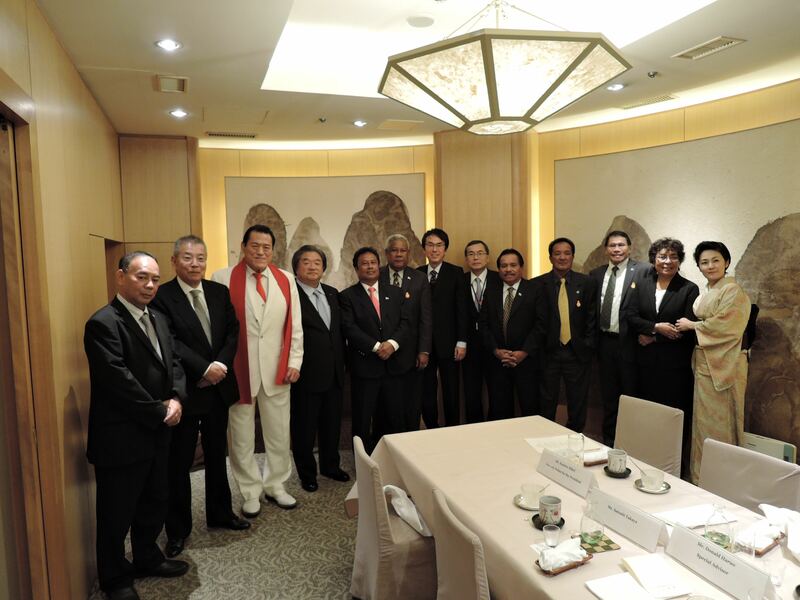 Honorary Consul-General Mr. Kohta Fujiki was appointed to assume office. Mr. Kohta Fujiki is President of Fujiki Transportation and Stevedoring Co., Ltd. Address: c/o Fujiki Transportation and Stevedoring Co., Ltd.
Caption 1: Mr. Kohta Fujiki receiving a certificate of commission signed by President Remengesau and presented by Minister of State Kuartei. 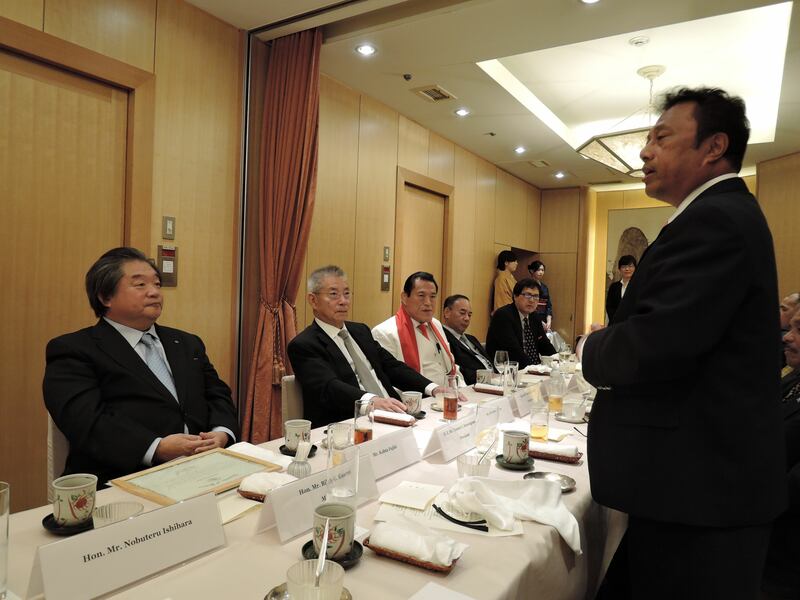 Caption 2: Mr. Kohta Fujiki making a short remark regarding his appointment and commissioning as Honorary Consul-General. 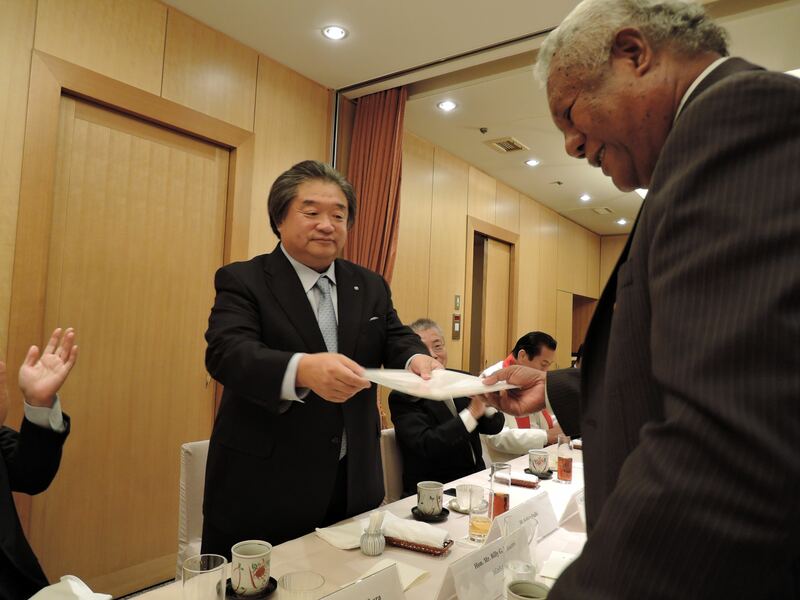 Caption 3: President Tommy E. Remengesau Jr. making a short remark and congratulating Mr. Fujiki as the first Honorary Consul-General in Japan.